Do you want a smart clog for those darker months? 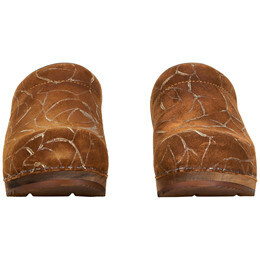 If you buy Sanita Villa open clog, you will get a cognac colored clog in embossed suede made in the best quality of the market. 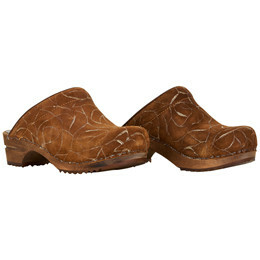 This open clog is made in pattern suede that fits into the fashion trends. 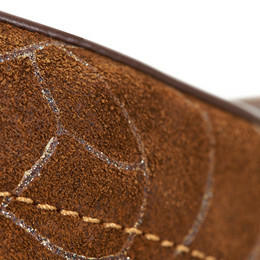 The leather is clamped on a wooden sole made of lime tree. The keywords of this product are fashionable, comfortable and quality.